A few weeks ago the lovely brand 'Delicious Alchemy' sent me a box of goodies to try out. 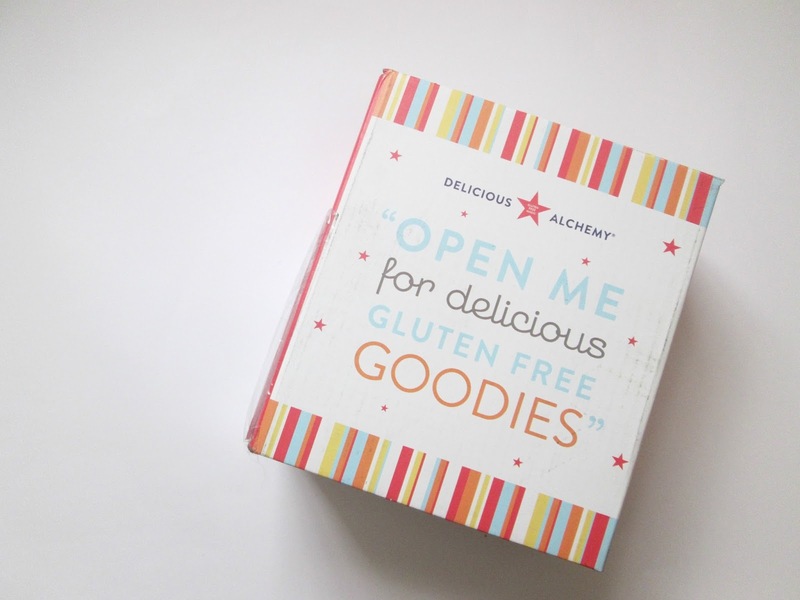 'Delicious Alchemy' is a company that specialise In gluten and dairy free baking goods. Being someone that is lactose intolerant and loves to eat any kind of cake, cookie and so on i was very happy when the package arrived. Plus i had never tried anything that was gluten free before. To start with i only asked about the brownie mix, because come on who doesn't love brownies? and i had never actually made brownies before. When emailing with the brand they asked if there were anything else i'd want to try and basically i told them everything, no joke. So i was rather happy when the box came the next day and all these goodies were inside. Each of the products are crazy good value, and if you don't like buying online you can find some of the products in your local co-operative for around £3. If I'm honest i have never actually used a mix before, i have always baked items from scratch, but its been so much easier to use these mixes and a hell of a lot easier to clean up. I've tried pretty much all of the items i was sent and let me just tell you, they were amazing. I was going to give you guys a run down of the products and how good they were but instead I've decided to do that in a different post, kind of a recipe post for a few of them. They will be posted once a week for the next few weeks so keep an eye out for them. Also how cute is it get get a personalized message from company's?!! 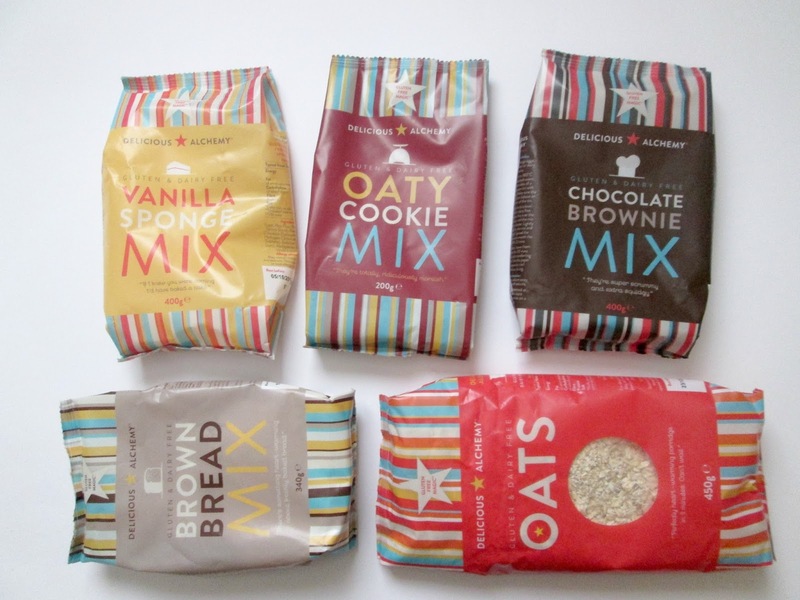 Have you guys tried these mixes before? These looks great and fun to make. Finding healthy and gluten free foods is something I'm all about right now. 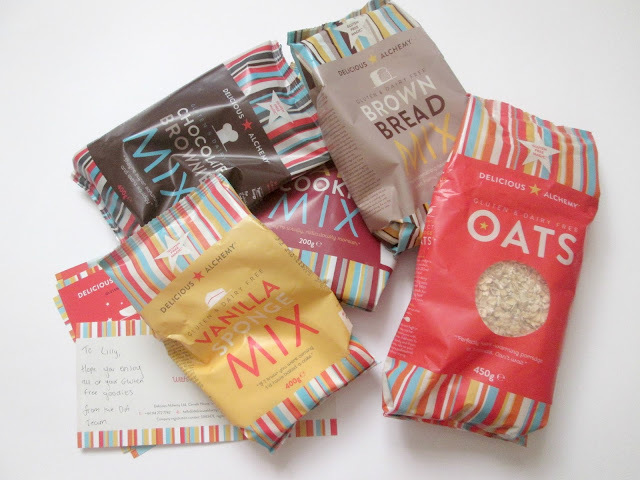 I knew of the brand but i never felt like mixes were my thing because i enjoy baking my own way so much, but i defo think that for a quick and easy thing these mixes are amazing! How sweet of them to send this! 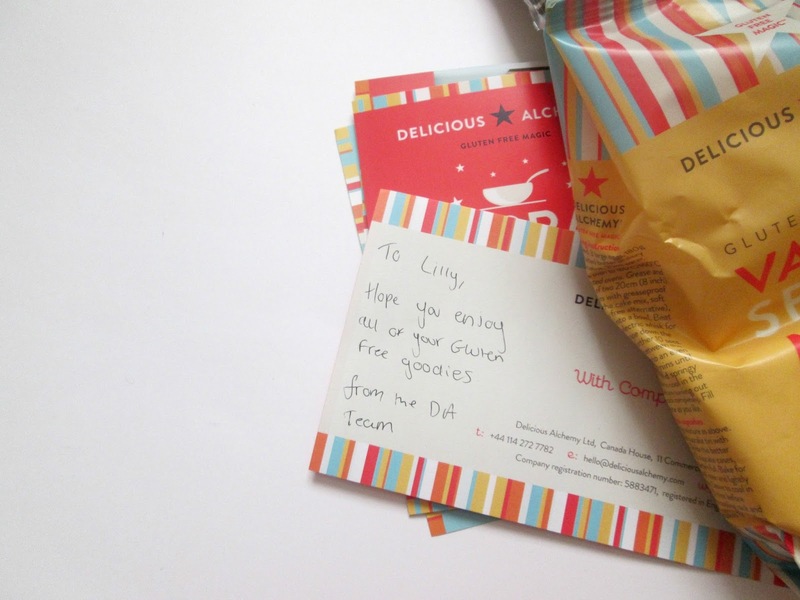 The packaging is adorable and they all sound yummy.